The fresh unroasted grain composition contains the richest nutrients - are proteins, carbohydrates, minerals, fats, organic acid, vitamins, caffeine, tannins, sugar, etc..
the, that for roasted coffee beans used, They know almost all. But not everyone knows, that green beans, too, can be used, grinding them in a coffee grinder and brewing coffee usual way. The taste of this drink grassy, almost imperceptible scent. Interestingly it is the coffee, that it contains chlorogenic acid, which almost completely destroyed during the roasting. They are great cleave fat, that allows you to widely publicize green coffee as an excellent tool for weight loss. However, it should be noted, that fat breakdown will occur only at high physical activity, for mandatory expenditure of human energy, without it Green Slimming Coffee drink is useless. After roasting coffee beans, they get their wonderful aroma and taste, and brown. Primarily frying of grains evaporates water contained therein, then caramelized sucrose, turning into karamelin, which gives the drink its color. Complex carbohydrates decays, tannins and other substances, with the release of the so-called coffee oil, which gives superb coffee flavor and aroma. Increased content of vitamin PP, produced by the decay of the alkaloid trigonelline. The caffeine content is not reduced when roasting, and because, that reduced grain weight, percentage increases, even his. Stimulating effect of coffee due to the presence in it caffeine alkaloid. Scientists have long wondered, what substance, contained in coffee, so affects the body, causing cheerfulness, fending off sleep. AT 1819 he was the first time isolated coffee from a French scientist Runge. This substance he called caffeine, It was a colorless crystal having a silky texture and bitter taste. Later, caffeine and its derivatives were also found in the leaves of the tea bush, Guarana, wALNUT car, mate. curious, Caffeine plants produce as a defense against insect pests. Caffeine affects the increase in locomotor activity, reaction, It stimulates the activity of the brain and nervous system. The amount of caffeine varies depending on the variety of coffee. 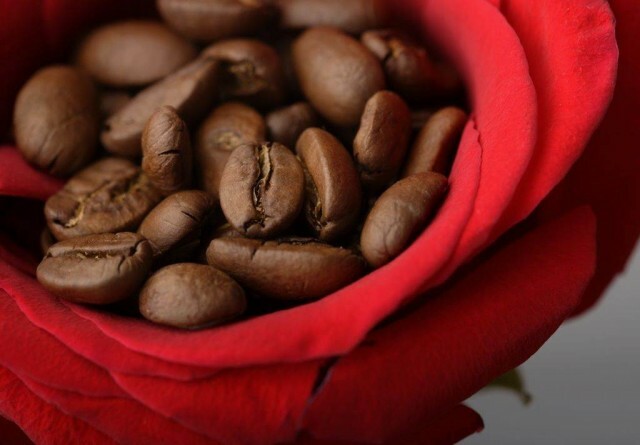 for example, arabica variety, higher quality of taste, sweetish, fragrant (It contains up 18% aromatic oils), It has a low content of caffeine 0,6 to 1,5%, and robusta variety of 1,2 to 4,5%. 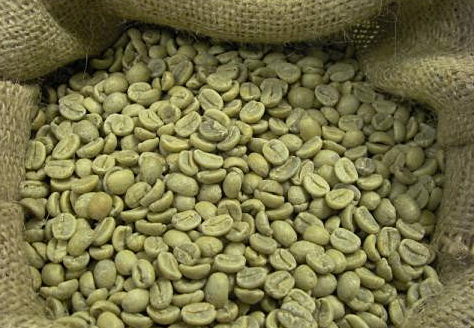 The content of various substances in coffee varies depending on the degree of roasting and of coffees. Average 100 g natural beverage contain: 0,2 g protein, 0,6 g fat, 0,1 g carbohydrate, 9 potassium mg, 5 calcium mg, 7 phosphorus mg, 2 iron mg, 0,7 mg of vitamin PP, etc..
Potassium and calcium are useful for the normal operation of the heart, phosphorus for bone, Iron is needed for hemoglobin, and vitamins for the normal functioning.